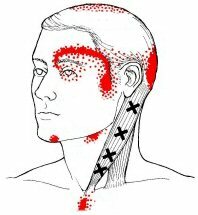 Myofascial trigger points are widely used as treatment to get immediate pain relief from tension headaches that can also lead to migraines. Treating specific trigger points, according to several studies now, is proven to help reduce migraine headache attacks. Other considerations are postural abnormalities like holding your head too far forward for your center causing a strain on the suboccipital muscles in the neck. The Marcus et al. (1999) study showed no difference in postural abnormalities between migraineurs and tension headaches, but proved they existed in comparison to ‘healthy’ subjects. So there was a difference between migraineurs and healthy participants. This 1999 study also found that both migraine and tension headache sufferers had more problematic points than healthy subjects and that the more severe the headaches, the greater number of trigger points. The study also found that those individuals who suffered from one sided migraines also had a significantly greater number of trigger points on that same side. Travell and Simons (1999) came to the conclusion that there was a high probability of trigger points being part of or the entire problem for the majority of headaches. 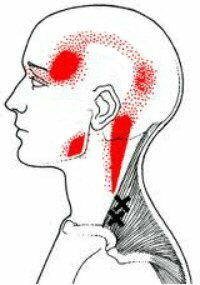 So, the good news is that if you have headaches, having the trigger points treated in the associated area will most likely bring significant relief. The bad news is that the longer period of time you’ve been having headaches and the more intense pain with migraines means there is a greater likelihood that these trigger points and your sensitivity developed might be keeping your headache or migraine cycle going. Treating the trigger points between attacks might prevent the episode from starting in the first place. The actual method used to release myofascial trigger points is simply by applying firm, steady, sustained pressure to the tense and knotted area. This constant pressure encourages the muscle fibers to relax and elongate instead of retaining their constricted short tight position. This results in a release of the built up toxins providing the relaxation feeling - that aaaahhhh feeling. Many fitness experts, osteopaths, massage therapists, and physiotherapists favor using this technique. 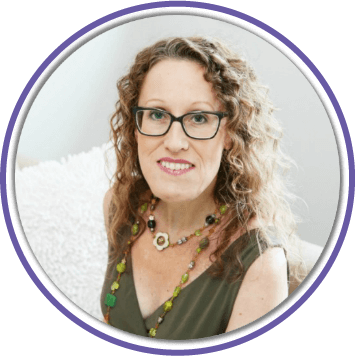 There are a number of case studies that support trigger point release as an effective self treatment system which makes a lot of sense to me if the migraines are from a physical cause, as opposed to hormonal causes (for one example). By using trigger point therapy the muscle fibers can release the built up toxins so they can flow back into the bloodstream to be processed through the body, thus returning to a more healthy shape and function. The blood flow increases through the area which also encourages a type of waste removal and healing and the muscles can return to their normal functioning. This feeling of relief reduces the pain signals flowing to the brains pain center and alerts your system to restore itself. Aaaahhhhh! I often wondered how many of my migraines were from skeletal problems and strained back muscles so I have experimented with this treatment on a number of occasions. 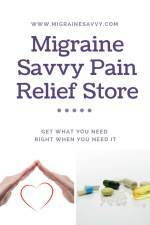 I did find great relief from muscle pain, but sadly no reduction of severity or occurrence in my migraine pattern. When I learned about timing and reducing stress - and learned it properly - that's when I got relief. 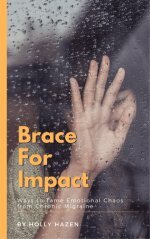 Get my book Migraine Management. 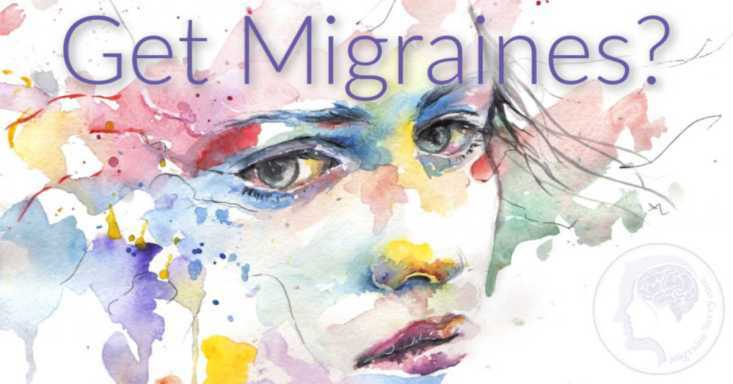 You probably already know these statistics – 1 in 10 people suffer from migraine headaches and the associated symptoms and attacks themselves vary in occurrence and intensity. You might feel alone sometimes in your recurrent suffering cycle of pain and lifestyle alterations migraines bring, but please know that you are not alone. 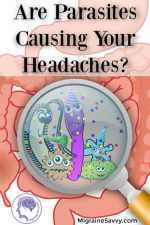 There is help for migraines, you just have to find what works for you. It might just be that myofascial trigger points hold the solution for reducing your pain. It is well worth experimenting with. Don't you think? 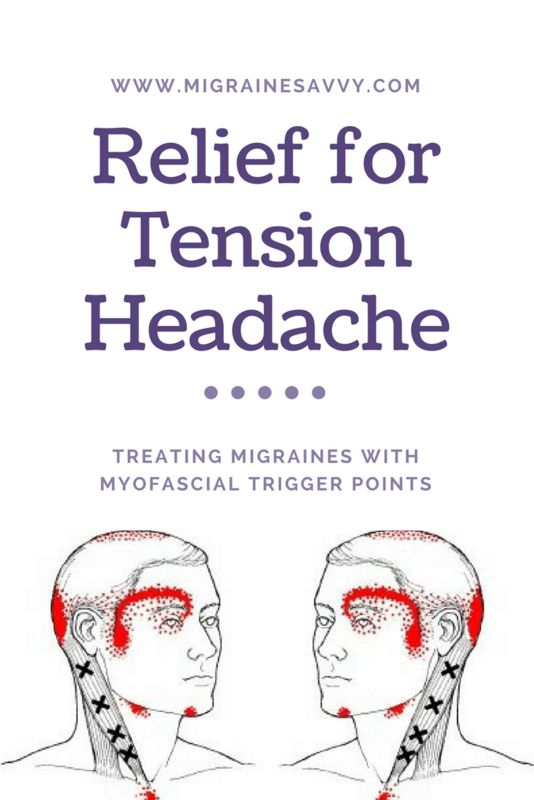 To read more on my actual treatment with a specialist in Sydney, Australia - click here for Newsletter Issue #15 called Myofascial Pain Trigger Points. The experts say that using a traditional and complementary combination works best to help prevent migraines. So experiment with a few options to find what works best for you. Finding more or faster relief is worth it. Learning not to use a hot water bottle water on my head was a huge turning point. Learn more ways to reduce stress in my book Migraine Management. 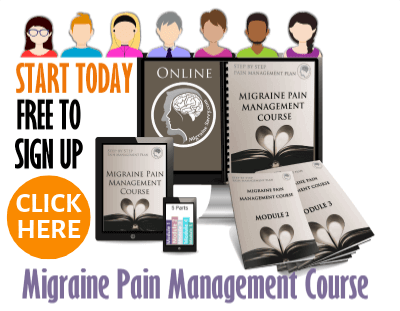 Stay in touch by joining the mailing list and get free tips, tricks and techniques to help prevent migraines. Use this opportunity to download some freebies that you can use every day right now. 2. Davies, C., Davies, A., and Simons, D. (2008) The Trigger Point Therapy Workbook: Your Self-Treatment Guide for Pain Relief (2nd Edition). New Harbinger Publications: CA. 3. DeLaune, A. (2008) Trigger Point Therapy for Headaches and Migraines: Your Self -Treatment Workbook for Pain Relief. New Harbinger Publications: CA. Chapter 3 reproduced by permission at Trigger Point Relief and the full book at amazon.com. 4. MyoRehab (2012) Head and Neck Pain [Online], Available at: Triggerpoints.net. 5. Tortora, G. and Grabowski, S. (2000) Principles of Anatomy and Physiology (9th Ed.). John Wiley & Sons, Inc.: USA.